With a distinctive character and inviting texture, Willington Rugs are perfect fit in the luxurious Jacaranda Rugs collection. Each rug is finished to an exceptional standard using high quality yarns for durability and beautiful style. Willington Rugs can be enjoyed in a choice of neutral yet modern colourways, perfect for interiors of many different decors and themes. Each individual Willingdon rug is made from 100% pure wool and each rug is woven with care in the traditional way using a hand-operated wooden loom. 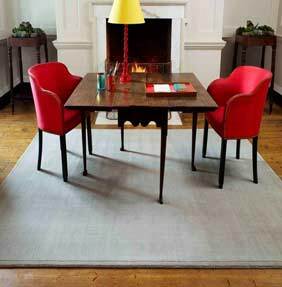 Each rug measures just 10mm in thickness and there are a range of sizes to choose from too. For convenience all Willngdon rugs are also backed in simple cotton.